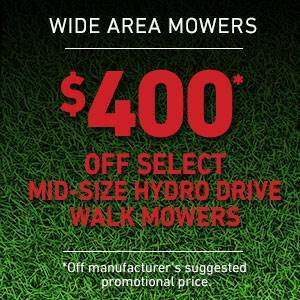 *$400 USD off suggested promo price on select Mid-Size Hydro Drive Mowers. Models 39934, 39938, 30488 and 30489. Valid on purchases made from March 29, 2019 through May 29, 2019. See participating retailers for details. To find a local retailer.